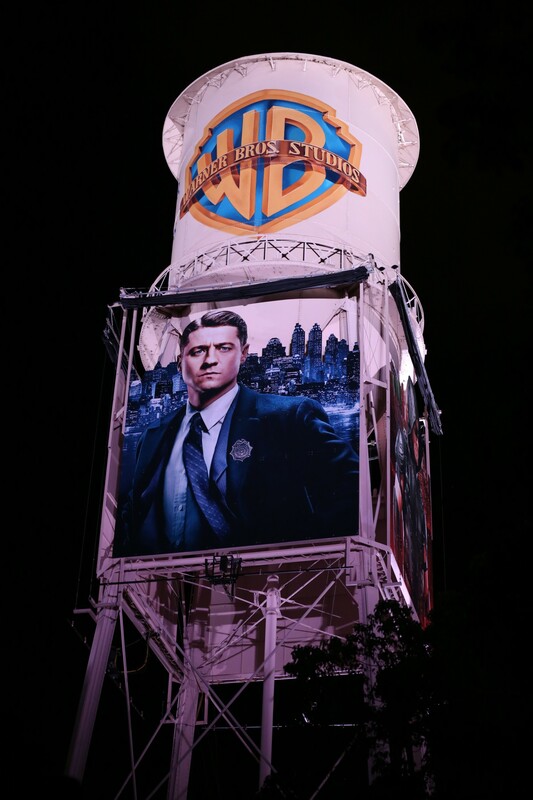 FOR THE FIRST TIME EVER, THE WARNER BROS.
BURBANK, Calif. (October 20, 2015) — For the first time ever, the iconic Warner Bros. water tower is receiving a Super Hero makeover, with the unveiling of giant renderings of Arrow, The Flash, Gotham’s Detective Gordon and Supergirl on the iconic structure which rises 100 feet high above the Warner Bros. Studios lot. 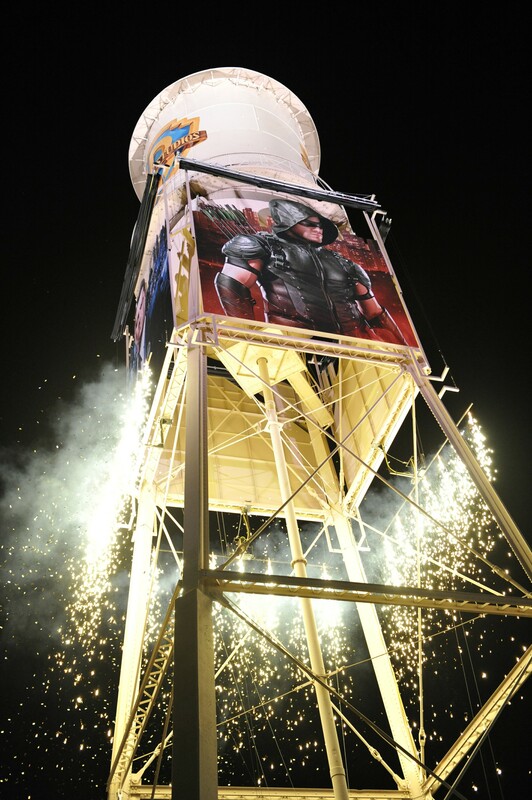 A super team featuring dozens of Studio artisans, engineers and artists collaborated on this first-of-its-kind installation celebrating four Warner Bros. Television series based on characters from DC Comics. 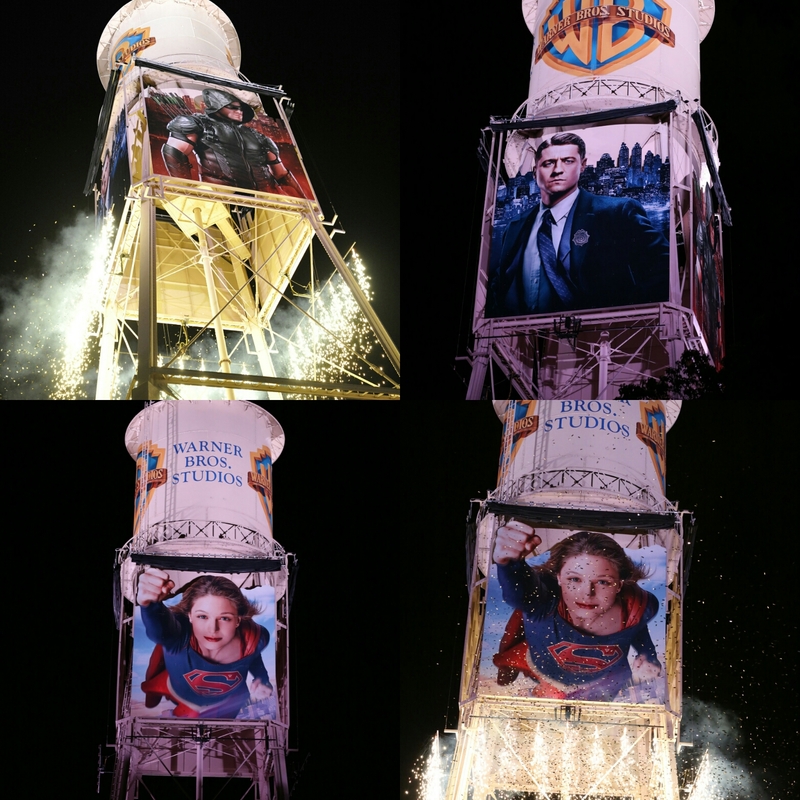 The characters from Arrow, The Flash, Gothamand Supergirl are displayed on giant aluminum panels measuring 22 feet by 20 feet in size, with each one weighing more than 5,000 pounds. 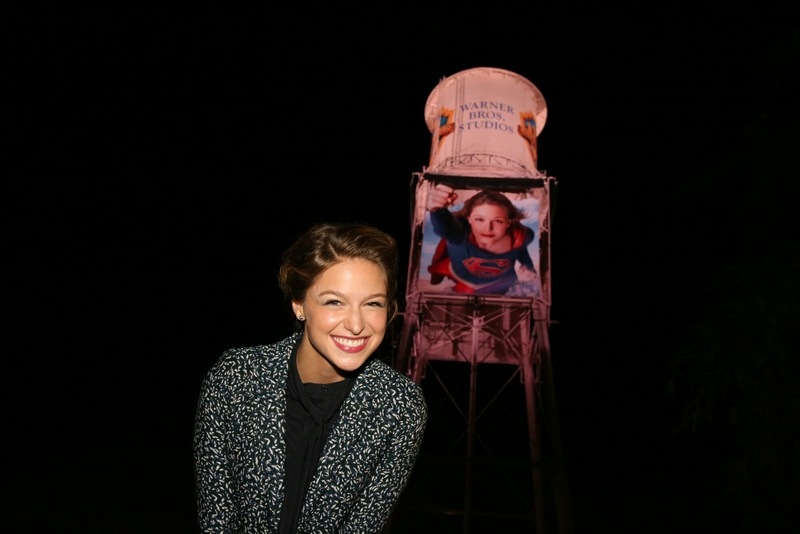 Attendees at the unveiling included Supergirlstar Melissa Benoist, Gotham stars Erin Richards and Cory Michael Smith, and executive producers Greg Berlanti & Andrew Kreisberg (Arrow, The Flash, Supergirl), Ali Adler (Supergirl), Marc Guggenheim (Arrow), and Bruno Heller, Danny Cannon & John Stephens (Gotham). 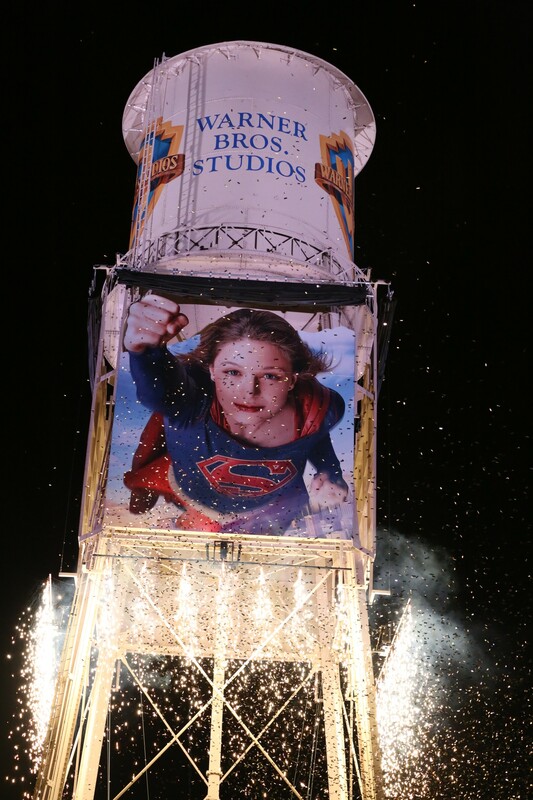 Previous Article← Bibi Lab products: the giant anime-style pigtails pillow.